Stretch Forming is a time proven process used to form close tolerance shapes for the Aerospace, Military and Commercial industries. It is the primary method Versaform Corporation utilizes to form desired shapes and contours. This process allows us to create or duplicate any radii, complex contour or form using extruded shapes of varying profiles, flat sheets, square, rectangular, round or channel shapes, “I” beams or brake form shapes and offers the desired repeatability of shape from part to part. Using this method, Versaform Corporation welcomes the challenge of difficult assignments. The forming of Skins is an integral part of the process of the manufacture of a modern commercial or business jet aircraft. 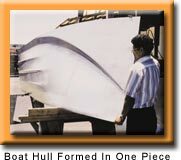 If a modern jet aircraft was perfectly round and a constant cylinder from one end to the other and the wings and tail sections were of a consistent shape, the forming of these skins would be a simple process. As the shape of a jet aircraft varies from top to bottom, end to end, “simple processes” do not apply. The manufacture of these critical skins depends on a proven process that can offer repeatability while holding critical tolerances and maintaining the integrity of the skin surface. This process employed is the forming of skins over dies of various shapes and contours. 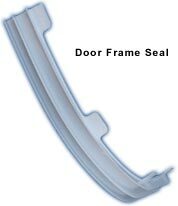 It allows for the forming of multiple, reverse or standard contours in varying types of materials such as aluminum, aluminum lithium, stainless steel and titanium at thicknesses from .020″ thick to over .100″ thick. Versaform Corporation has extensive experience and expertise to form the most complex shapes, involving non-standard contours with the required repeatability and precision. Our experienced operators perform this process allowing for minimal or no distortion while maintaining the required critical skin surface. The forming capabilities at Versaform Corporation are further enhanced by employing the process of Hydro Forming, a relatively new method for manufacturing lightweight components. 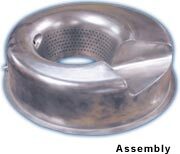 The Hydro Forming method uses environmentally friendly water to replace the rubber in the die cavity commonly used in Rubber Pad Forming. This method allows for a more severe draw than in conventional methods because the pressure created by the water holds the metal tighter against the die surface to allowing for a more precise, repeatable forming process. Versaform Corporation is on the leading edge of this relatively new forming process Stretch Draw Forming. 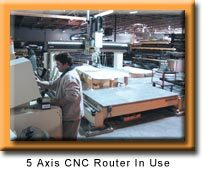 This process combines the two processes of Stretch Forming and Draw or Deep Draw Forming with excellent results involving the forming of complex or reverse contours. The implementation of this technique is replacing the outdated process of Drop Hammer forming. The Stretch/Draw Form process is cleaner, quieter, more accurate and efficient and eliminates environmental concerns by removing Lead By-Products associated with the Drop Hammer process. Versaform Corporation is actively working with major Airframe Manufacturers to replace outdated Drop Hammer formed parts with parts produced using the advanced Stretch/Draw Form process. Continuing our process of implementing new technology, Versaform Corporation has developed a process for forming Leading Edges for aircraft that greatly reduces material usage and scrap while increasing repeatability and productivity. 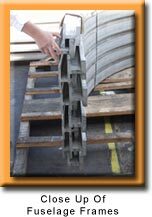 We have developed a process that replaces the outdated Bump Forming or Stretch Forming process previously used. Our process guarantees a “net fit” to the forming die that is repeated from part to part and can be used to form Leading Edge shapes ranging from Large to Knife Edge configuration. Due to the dynamics of this forming process, the required Skin Quality surface finish associated with a Leading Edge is easily maintained. Versaform Corporation manufacturers sheet metal components using the tried and true method of Shearing and Brake Forming the required cross sections. Brake Form components make up large portions of the structural components used in Commercial and Business jet aircraft as well as structural and trim pieces for Architectural and Commercial building use. The use of multiple forming dies with varying bend radii size, allows our experienced operators to form a multitude of shapes at lengths up to 12 feet while holding critical tolerances throughout the length of the shape. These shapes can be formed from a multitude of material types including aluminum, stainless steel, and titanium. 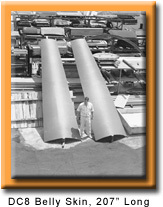 Versaform Corporation employs two processes for the precise forming of Rings, Cylinders and Truncated Cones. 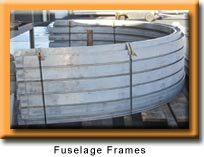 The process of Ring Roll Forming is used to form plate, sheet metal sections, bars, beams, angles or extrusions into circular shapes. Rings may be formed starting with straight sections or by taking preformed rings and expanding or contracting the existing diameter to the required size. The process of Roll Forming is used to form constant Cylinders or Truncated Cones from varying thicknesses of sheet aluminum or stainless steel. 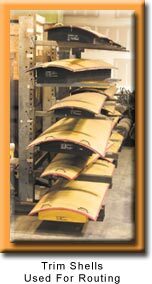 These types of processes take advantage of favorable grain flow direction, offer material savings and are capable of producing close tolerances which repeat from part to part. Versaform Corporation offers the ability to form the required Joggles using any of the processes, hot, cold or room temperature while applying the Joggles using the Press Brake or Stretch Form method and maintaining the required tolerances and repeatability. Versaform Corporation continues offers the latest cutting technology with the application of our Water Jet Cutting services. 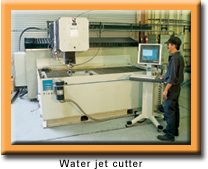 Water Jet Cutting offers an alternative to flame cutting, machining, rough cutting with band saws and shearing by using a computer controlled stream of water, applied at a high rate of speed to achieve the required precision detailed flat pattern, hole pattern or shape. Water Jet Cutting can be applied to the thinnest of materials up to the thickest and as the cutting is accomplished with water, the process is environmentally friendly. There are few limitations with regards to the types of materials that can be cut using the Water Jet. Marble, Hardened Steel, Aluminum, Titanium, Kevlar, Wood, Copper and Glass are some of the materials to which we applied this process. 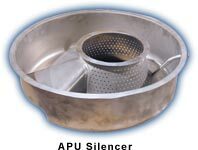 Because the desired shapes or hole patterns are computer developed and controlled, repeatability from part to part is maintained with ease while holding tolerances within .005″ allowing for cost effective production runs. 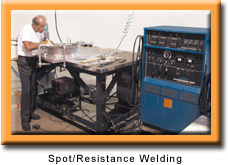 Versaform Corporation offers a wide range of welding capabilities including MIG, TIG and Resistance Welding. These process are applied to perform accurate assembly of detail aircraft components manufactured from various types of material thereby saving our customers time and inventory costs. Welding Certifications include AMS-STD-1595, MIL-W-6858D, MIL-STD-2219 Aluminum, Stainless Steel and Hastelloy. Versaform Corporation offers internal capabilities to perform Heat Treating, Annealing and Artificial Aging of skins, extrusions and sheet metal components and are accomplished at our Oceanside, California facility. We are approved to perform these processes for virtually every major Airframe manufacturer in North America and overseas and offer the accompanying Hardness Testing capabilities required to maintain these approvals. Versaform Corporation offers an extensively experienced staff of full time tool makers which allows for the capability to repair customer tooling in house or offer services for the replacement of tools using the latest manufacturing technologies. In addition, we offer the ability to produce first time or new tooling using customer supplied hard copy or electronic design data. Recognized for our quality of built tooling, Versaform Corporation has serviced the tooling needs of customers worldwide. Our internal tool build capability allows us to offer reduced lead times at lower costs while maintaining the required engineering requirements. Ranging from the fabrication of a single piece component to complex, multiple quantity orders, Versaform Corporation offers the broad range of expertise necessary to address your company unique requirements. 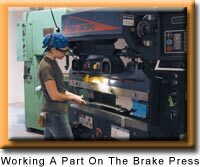 Our extensive abilities and fabrication services lend themselves to the manufacture of components, involving various types of materials that include but are not limited to composites, aluminum alloys and aluminum compounds, stainless steel, titanium, glass and marble.In addition, our ability to interpret programming from the latest computer generated data allows our Engineering department to develop and design intricate, complex and compound shapes. The ability to assemble multiple detail components into larger, “Sub Assemblies” or “Finished Assemblies” is critical in the manufacture of a Commercial or Business Jet Aircraft. Versaform Corporation continues to offer “Full Service Capabilities” within this area using proven capabilities that assures our continued standing at the forefront of the latest industry standards. Whether using customer supplied jigs and fixtures or our own internal abilities to manufacture the required tooling using customer supplied design criteria, the end results are the same, significant cost savings and greatly reduced delivery lead times passed on to the customer. Sheet metal or extruded shapes are continually subjected to varying conditions throughout the manufacturing process including exposure to elevated or significantly reduce temperatures, varying limits of applied stress and multiple handling operations. These varying conditions may induce involuntary movement within the actual shape of the product resulting in a configuration that falls outside of the required engineering parameters. Versaform Corporation offers extensive experience while employing state of the art equipment that allows for the quick and cost effective correction of the configuration anomaly thereby offering the customer a product that meets all engineering parameters. 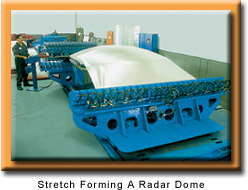 Versaform Corporation offers extensive experience in all applications of single and multiple stage Draw Forming. Our experienced Engineering Department allows for the accurate calculation of acceptable material reduction percentages to assure that the finished product meets our customers weight requirements while maintaining the necessary structural strength. 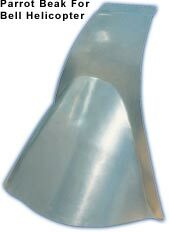 The use of the draw forming technique can eliminate the requirement for the welding of seams or corners.